This year BMW joined forces with the Coachella Music Festival once again to keep the #roadtocoachella hashtag alive for one more year. This time round they did so with none other than Khalid, a veritable pop star by now, even though he’s only starting off. 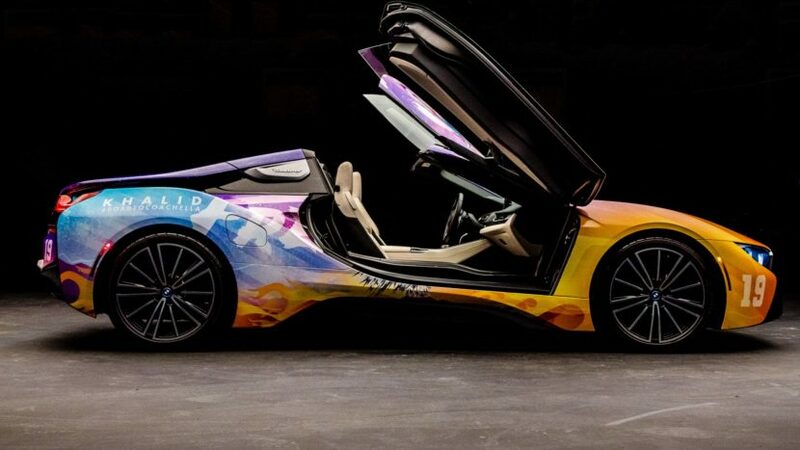 For this year’s festivities, BMW and Khalid decided to create a unique BMW i8 Roadster designed by the pop star himself, a car that will then be driven to the venue, in California. Although we saw a first video of the final creation a while back, the car wasn’t actually presented in detail until today. The photo gallery below contains all the details you want to know about. The striking look features flames and the image of a wolf and is inspired by the current album cover of Khalid. 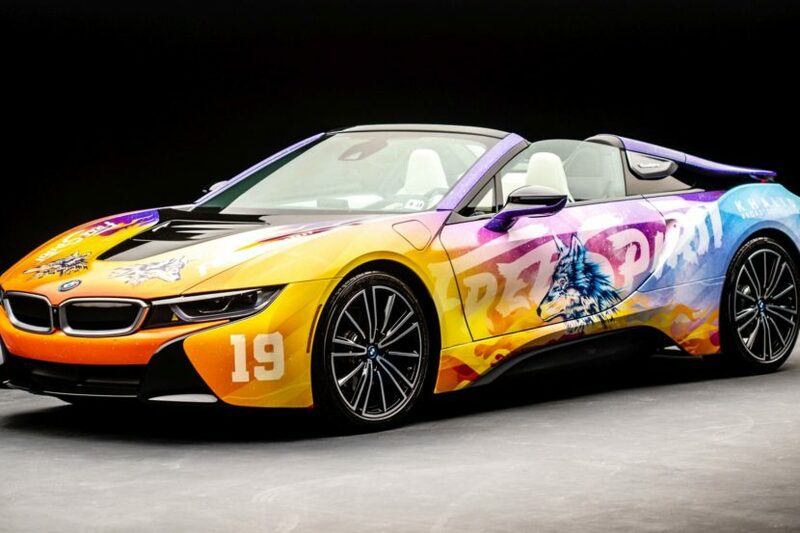 He inspired the festival fleet of vehicles for BMW i based on the cover of his new album ‘Free Spirit’. The Road to Coachella embodies the Free Spirit mentality of a fun road trip with friends to one of the greatest music festivals. “I love road-tripping, hopping in my car and driving back home to El Paso is 12 hours each way from LA. To me, BMW, especially BMW i8, is the embodiment of freedom on the road. I really feel like a free spirit when I’m driving and listening to music. I love making music that you can crank up and drive to with the windows down”, says Khalid. “The variety of live concerts at Coachella Festival is a great playground for creativity,” said Stefan Ponikva, Head of BMW Brand Experience Shows & Events. “At Coachella, the internationally most famous stars of the industry meet the most enthusiastic audience. Innovation and inspiration are the values that BMW i shares with the iconic festival, making it an ideal partner. We look forward to working with the festival and Khalid, one of the most exciting artists of contemporary soul music and a passionate BMW driver,” he added. Follow the hashtag #roadtocoachella to virtually join Paris Hilton, Lena Gercke, Laura Marano and other influencers.